This high-level event focused on whether the EU legislative framework for corporate reporting needs to be adapted to better serve the capital markets and the EU economy. 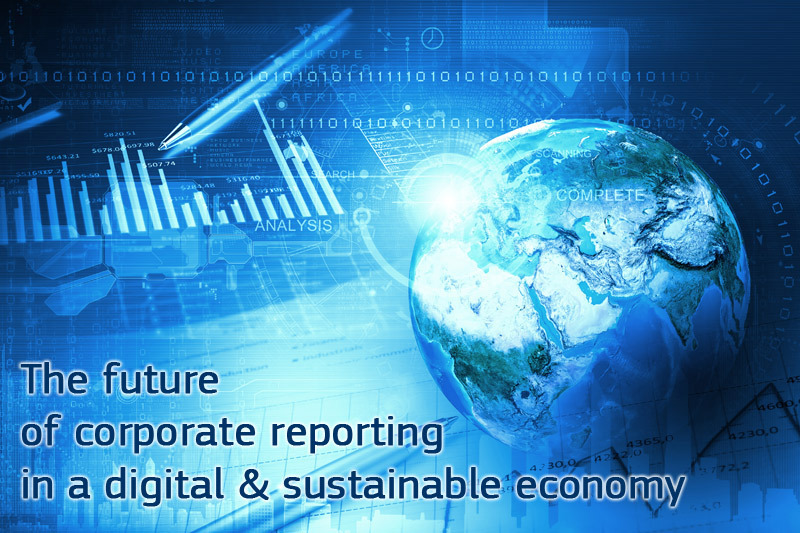 Following the recent public consultation on corporate reporting , this high-level conference has been an additional opportunity for key players (regulators, preparers, users, civil society...) to share their views and debate on the future of corporate reporting. This was the moment for key players to provide valuable input to the fitness check the Commission is currently undertaking in this field. Whether the current EU framework needs to be adapted - to keep up with the digital imperative, business model developments (e.g. internet businesses) and sustainability concerns (e.g. climate and social issues) - is currently under analysis by the Commission. Over the past decades, the way businesses have created and have sustained long-term value and the context in which they have operated have significantly changed, driven notably by fast technological developments and a growing interest in corporate social responsibility. In parallel, investors increasingly demand a broader range of information to assess companies' long-term value creation beyond the scope of backward-looking financial data. In particular, investors increasingly demand information linking companies’ strategy, governance, environmental performance and social responsibility to their long-term financial performance and value creation. In this digital era, businesses models have evolved towards technology-driven models with a greater emphasis on innovation and knowledge. A company's value is increasingly influenced by intangibles such as brands, data, talent and customer base, often not captured by financial statements. This may be one contributor to the persistent difference between market capitalisation and net asset value. Moreover, digitalisation has created new business models and profoundly changed how corporate information is disseminated and made accessible. These rapid changes in the business environment and in investors' information needs have given rise to a wide-ranging public debate about whether corporate reporting continues to fulfil its objectives and is keeping pace with social, economic and technological developments. The European Commission is currently carrying out a fitness check to assess whether the EU's legislative framework for corporate reporting is still fit for purpose and for new challenges . Timely and high-quality corporate reports are fundamental for many investment decisions and play a vital role in promoting market efficiency, investor protection and financial stability . It is also important that accounting standards for EU capital markets do not induce behavioural changes that undermine the EU's policy objectives, in particular the development of equity markets and of promotion of long-term and sustainable investments in European capital markets. In the same vein, accounting and transparency rules should be sufficiently harmonised for companies operating cross-border or for cross-border investments. It is also time to contemplate how to better streamline all the “fragmented” information required under the different reporting requirements in order to alleviate the burden on preparers, especially in the financial sectors. Should we miss this momentum, corporate reporting could become a mere compliance-driven exercise rather than achieving its purpose of promoting efficient capital markets.